Kuranda has some pretty cool dog beds that can be fun for the do-it-yourselfer. We received the Standard Dog Bed which is great for providing orthopedic support and comfort while keeping your dog elevated off the ground. We knew this would be a great bed for Oz when he is outdoors as he can relax in a sunny spot without triggering his allergies by lying in the grass. Kuranda’s Standard Dog cot-style bed is made of a material mat and a high-strength, furniture grade poly-resin frame. It provides a firm, supportive area where your dog can relax and be warm in the winter and cool in the summer. Kuranda also provides a variety of bed covers for the Standard Dog Bed like a microsuede slip cover and fleece pads. We got a Deluxe Fleece Pad which is thick, cushiony and double-sided and easily attaches to the bed with elastic straps. So you may be wondering why this post is titled “Build a Bed”. It would be because the Kuranda Standard Dog Bed does not come assembled. DIYers, get ready for some fun! 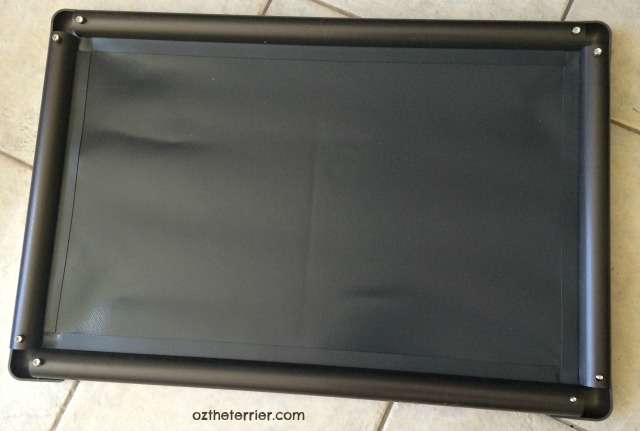 If you are not a DIYer, don’t worry: Kuranda makes it simple to put the Dog Bed together! Now, you will only need three (3) tools to build the Kuranda bed: a Phillips head screwdriver, either a 7/16 wrench or an adjustable wrench and good, old-fashioned know-how! 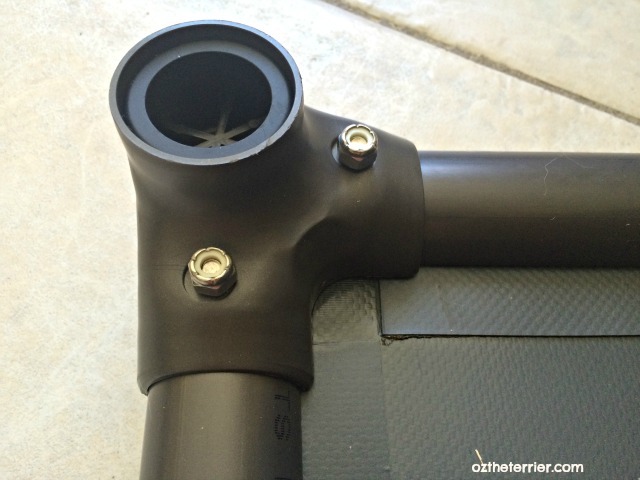 The bed comes with slotted rails to go around the material mat as well as tubes for the legs, top and bottom corner brackets and leg caps (so the legs don’t slip when on tile floor). TIP: It is easier to work on the bed with the bottom up! From step 1, be sure the material is bottom-side up and you will have a much easier time. 1. Attach the material mat to the slotted rails by sliding the fabric sleeves into the slots. 2. Position a top-corner bracket in one corner, beneath the bed rails and insert the 2 screws through the holes of each rail. Remember you are working upside down so the top bracket will also be upside down! Repeat on the other three corners. TIP: We placed the screws into the top-corner bracket in each corner and secured them with the lock nuts so a corner didn’t “fall apart” while we were working on the others. 3. Remove the lock nut from one of the corners and place the bottom fitting on top of the screws of the top-corner bracket. Secure the corner with a lock nut and hand tighten. Repeat on other three corners. 4. Turn bed right-side up and tighten each screw while holding the lock nut in place with the wrench. 5. Place the rubber caps in the legs and insert legs into the corner fittings. And that is it! You are now a DIY Kuranda Dog Bed builder. Congratulations! Established in 1987, Kuranda is based in Annapolis, Maryland. Their unique, sturdy cot-style dog beds provide a comfortable resting place for at home and in the yard. The beds also provide a simple, comfortable place for animals in shelters and rescues. Through the Kuranda Donation Program, shelters and rescues can create a Kuranda Bed Wish List where donors can then shop at a discounted rate to donate a bed to their favorite shelter. 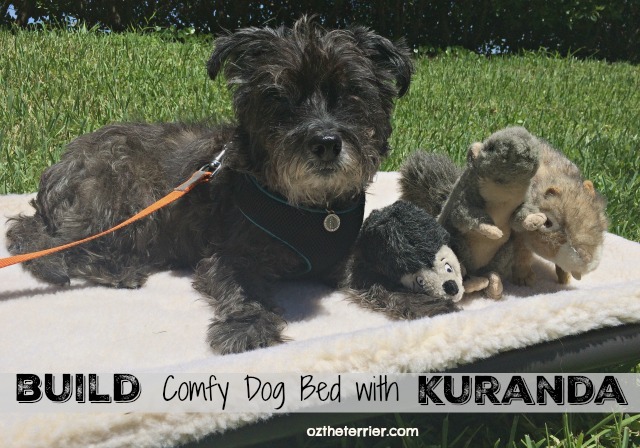 Kuranda will even ship the bed directly to the shelter/rescue FREE of charge! Now that is terrierific! If you are looking for a sturdy yet comfortable dog bed that you can use in the house and outside, then look no further than Kuranda Dog Beds. Visit Kuranda’s website or talk to them on Facebook and Instagram to learn more. 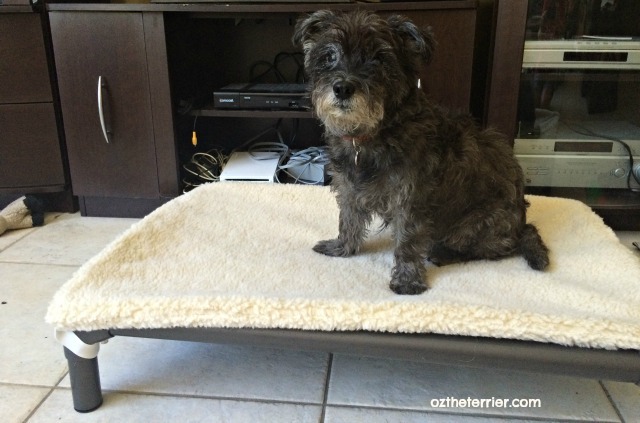 Oz the Terrier received the Kuranda Standard Dog Bed for free but we only share information we feel is relevant to our readers. Kuranda is not responsible for the content of this article. 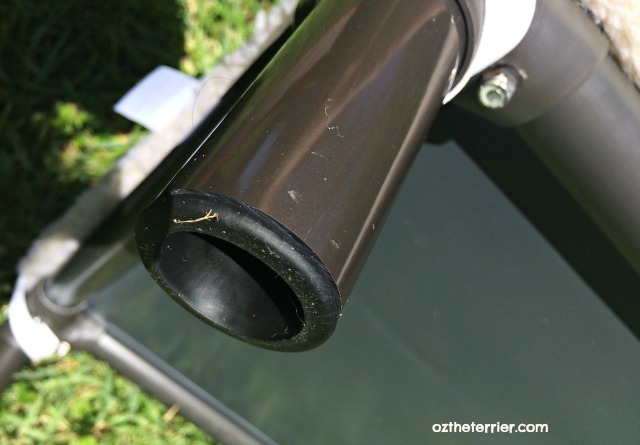 Great post, Oz! We don't have a Kuranda but we do have a cot-style bed and we both love it! Now you're talking Oz...oh yes, COMFTY bed...where's Mums fleasa card?!?! I had a Karanda bed in my foster home and loved it. But when Momma got me one, I suddenly didn't want to lay on one anymore. BOL! That might be a good bed for our pawrents so we can stretch out better in the big bed! I've been thinking about getting a bed like this for the chi's for awhile now. They love hanging out in my bed though so I'm not sure how much use they'd get out of it. We LOVE our Kuranda bed. It is in front of our window facing the street. The boys stay on it all day looking out of the window and napping. It is the perfect height for them to snoop. LOL! Ohhhhhhh I need another bed Oz I only have 2 queens and a double on oh and numerous couches and chairs. MOLMOLMOL Mom says I'm like a 500 lb gorilla I sleep where ever I please. that looks like a great bed! Mom has toyed with getting us a bed in that style or trying to make one herself out of PVC piping. The shelter the mom volunteers at uses Kuranda beds for all the kitties. They're very durable...and the kitties love them! We both have Coolaroos which are very similar to the Kurandas and we absolutely LOVE them! We always make mama take it wherever we go...nothing like comfort!! Nice looking bed. It would be nice for lying in the sunshine on the deck. More comfy than the hard wood. Oz, you look so cozy with your friends on the bed in that first photo! We've been spending a lot more time outside at our new house, so we really need an outdoor bed. I've had my eye on these for a while, they look great. OMD! We've always wanted one of those! Fabulous review!!! Nice job Oz, your so handy no wonder you can build houses.